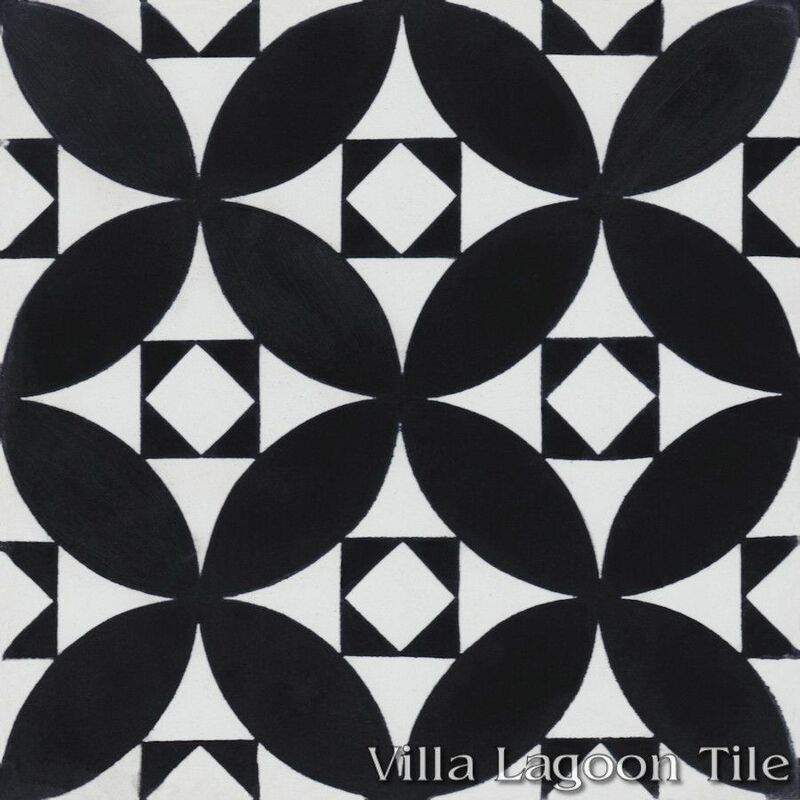 These are two 2-color 8" cement tiles, using Black and White from the South Beach Palette. 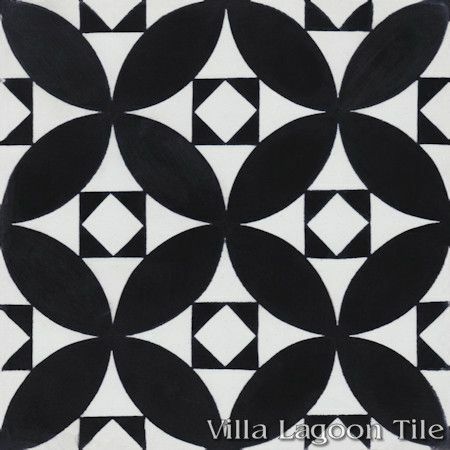 Inspired by the marble and stone mosaics of Saint Mark's Basilica in Venice, we have produced this Villa Lagoon Tile exclusive cement tile pattern in several colorways. 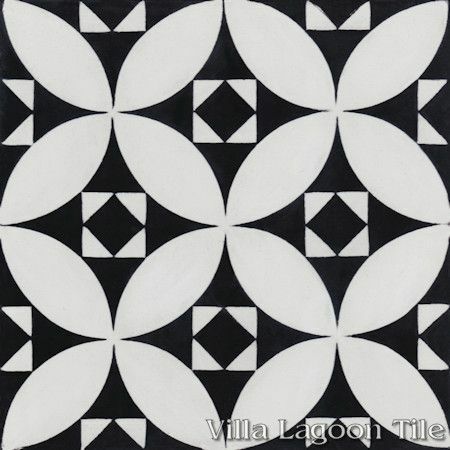 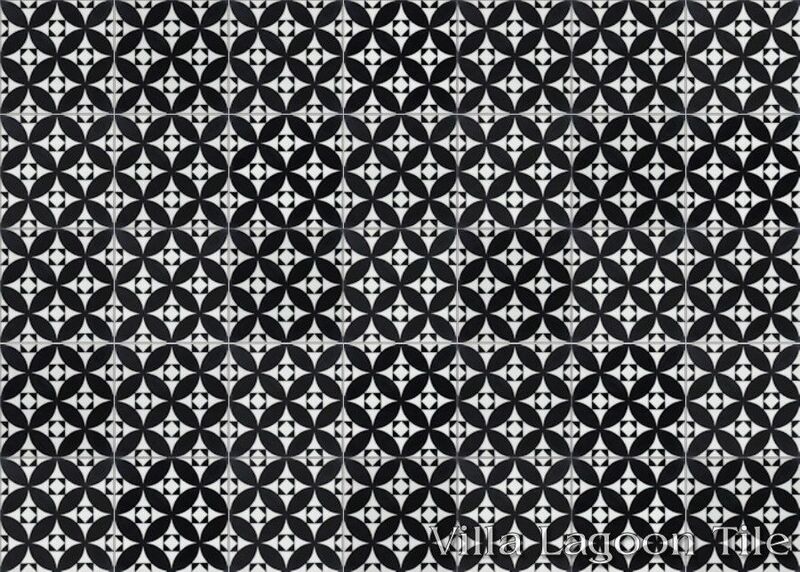 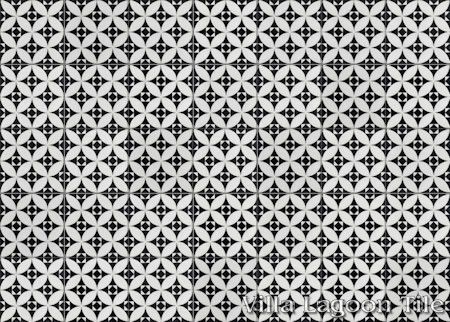 Our "Saint Mark's" makes a wonderful black and white cement tile. 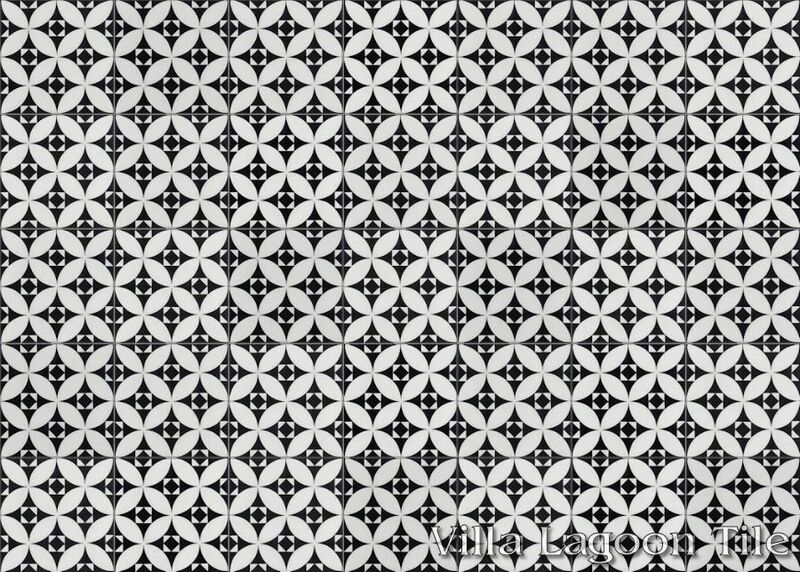 Saint Mark's B&W Evening, Lot SB-D04, In Stock Clearance Sale! 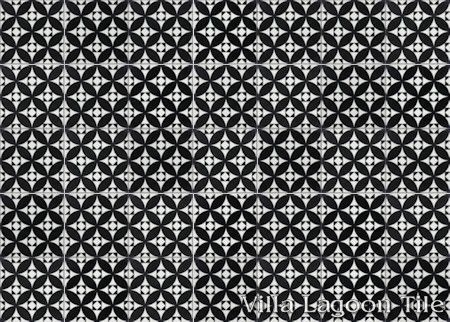 45% Off: $3.43 per tile ($7.89 / square foot) 5.22 square feet.